Music, traveling (ughhh, cliché, but true) and celebrities. Movies and television don’t get my imagination running as fast as my iPod, a new location, and a fashion magazine. The music helps to set the attitude and mood. What you listen to puts you in the right mindset for a new locale but, you still need a celebrity to emulate. So I find the majority of my summer style inspiration from celebrities. These seven stylish celebrities set the bar high when it comes to summer outfits. They are inherently themselves and pull from music, cities, and energies that I completely admire. These women have strong senses that they convey through their clothes. You can go from London to Paris to Barbados with a layover in New York as these seven celebrities as your summer style inspirations. The best way to get inspired by a celebrity’s style is to do as much research as possible. 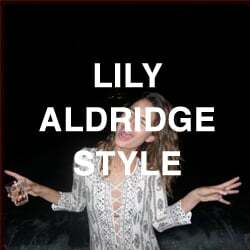 Figure out what key components you love about that celebrity’s summer style. An example of how to cherry pick your outfit from your favorite summery celebrities? 👈 Here, I might love how Rihanna wears a gold cami, but the rest of the outfit is too edgy for me… So I swap out the heels for a pair of K. Jacques like Lily Aldridge. 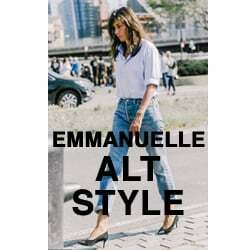 Slip on jeans like Emmanuelle Alt. Then I add a straw bag like Jeanne Damas… And voilá! An outfit that looks like my own, but has these key elements of my favorite celebrity summer style inspirations. Basically, you don’t have to dress head-to-toe like a certain celebrity. You can pick and choose your favorite elements and become your own summer style inspiration through all these icons. Unless that icon is Kate Moss, then just dress head-to-toe like her.